The Lake District White Guide is a new booklet available for free; full of essential advice to help you plan and head out for a day of winter climbing in England’s mountain mecca. Following on from the success of the North Wales White Guide, this booklet contains a similar wealth of information for the Lake District in a compact format that is easily slipped into a guidebook cover or pocket. With comprehensive advice on how to minimise your impact on sensitive mountain habitats, as well as where to find good conditions, how to identify them at the crag and details of Lakes winter ethics; this is a must read for any winter climber, new or old heading for the Lakes. The booklet is available to download for free (pdf) now and is also available as a free hard copy booklet through the BMC shop or local Lake District climbing shops, walls and visitor centres. All that’s needed now is a drop in temperature and a plastering of snow and ice – here’s hoping for a great 2015 winter season! Met Office Mountain Forecast: Mountain weather forecasts and warnings from the UK's national weather service. Mountain Weather Information Service: Independent mountain forecasting, with in-depth Scottish forecasts funded by the Scottish Government with the support of The Mountaineering Council of Scotland. Scottish Avalanche Information Service: Vital daily avalanche reports and forecasts from the five most popular mountain areas in Scotland over winter. The North Wales White guide is a free guide to inform and educate winter climbers in Snowdonia on how best to enjoy the area, while at the same time minimising the potential damage to protected habitats and fragile environments. 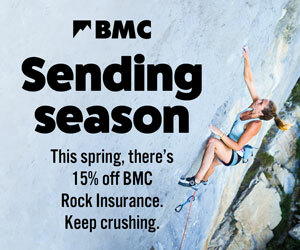 The BMC produces a number of good practice guides for climbers, hill walkers and mountaineers. These give a wide range of essential information on topics from how to minimise your impact while in the hills or at the crag to how to go about restoring a crag and how to spot rare species.